So I thought I would start a thread to post any funny videos, memes, pictures and other such things related to software testing for everyone’s enjoyment. Feel free to add anything that you think the community would enjoy. My first contribution is a video that has gone viral this week. Although it is not strictly testing related, it is something that you might identify with if you have presented a product or product features to a client. The video purportedly shows a Apple engineer telling a Spanish TV host how the design of the new Apple MacBook came about. QA Hipster has recently been posting gif’s related to software testing. I thought they were quite funny. You can see his whole list of software testing gifs here. Like a lot of things on the internet it doesn’t make any sense but it is funny. 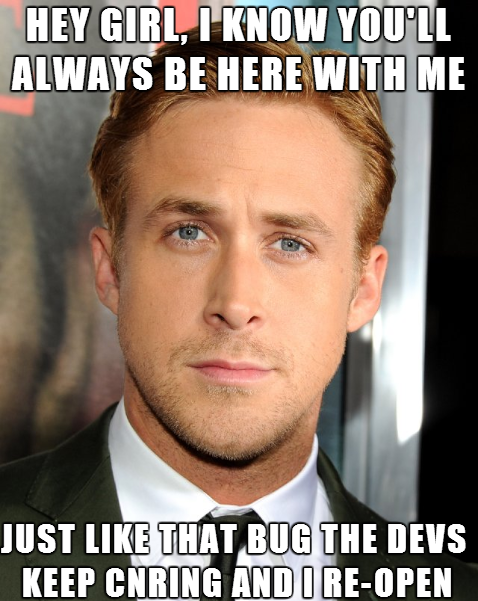 Loads of great DevOps and testing meme and especially gif quotes.